Missions Emphasis Sunday is one of our most important Sundays every year. While we are a church committed to spreading the Gospel around the world every day of the year, we reserve this Sunday for a special celebration of all God is doing as we recommit ourselves to this central calling of the Church. This year we plan to host and hear from several of our long-term partners on the mission field. It will be a great encouragement to hear about the advance of the Gospel. This is also the Sunday when we join together and pledge to financially support our partners in the Gospel for another year. At Our Saviour, we maintain a separate fund for the ministry of our local church (General Fund) and another fund to support missionaries around the world. My encouragement is for you to allocate your tithe with 90% being given to the General Fund and 10% being pledged to the Mission Fund. When you have opportunities to make over-and-above gifts, you can prayerfully choose which fund may benefit most from your contributions. This approach will ensure that we maintain a strong base of ministry in our community and set us up to have a significant impact in other areas of the world. As you review the proposed missions budget, I want to draw your attention to two key areas. Before that, I want to commend our Mission Commission members on their great work in putting together this proposal. The first thing I want you to notice is the newest addition to our group of supported missionaries—Christine W. Christine is a member of OSEFC. Though she is still in the midst of the interview process and therefore her support is not yet guaranteed, we take great joy in adding a current covenant member called to long-term missionary work to our roster. Pray for Christine as she continues to prepare for this work. You will see and hear more about her as the interview process continues. Secondly, I want to draw your attention to an increase in the area of church planting. Two and a half years ago, we began asking God to use us to begin a new Gospel-centered church in a surrounding community.  As I have told you on several occasions recently, that vision is beginning to take shape in the form of a partnership with several other EFCA churches in our area. By God’s grace, we hope to use these funds as well as church-planting reserves from previous years to invest in and train a church planting resident, hopefully as early as next year. The residency will likely be done in conjunction with other members of this church planting partnership. It’s exciting to see God at work and even more exciting to dream of introducing our church to a man we are supporting as a church planter, possibly in less than a year. Now all we need to do is find that man! Please continue to pray with me about this. Please take the time to pray for each of these missionaries and to pray about your commitment to this important work in the coming year. I look forward to celebrating God’s grace, His Gospel, and His heart for the nations this Sunday morning. Join us, you will be glad you did.